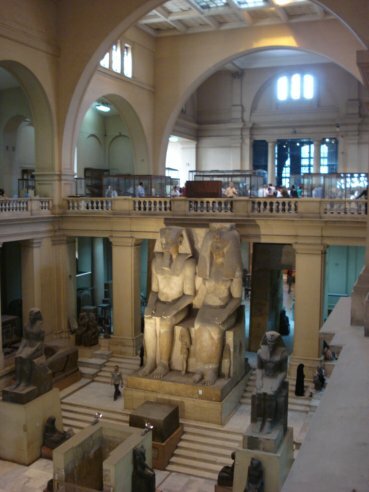 She was well educated and had a Degree in Egyptian Antiquities but I've forgotten the formal name of the credentials. She was doing tours to put together some extra funds for her marriage which was to happen in March, 2010. She was knowledgeable on many topics concerning her country but I don't believe she had ever been outside of it. The Norwegian Jade docked at Alexandria, a marvelous city, the second largest city in Egypt, also known as "The Pearl of the Mediterranean". It gets it's name from it's 331 BC founder, Alexander the Great. It was a beacon of culture symbolized by Pharos, the legendary lighthouse that was one of the Seven Wonders of the World. But ancient Alexandria declined, and when Napoleon landed, he found a sparsely populated fishing village. From the 19th century Alexandria took on a new role, as a focus for Egypt's commercial and maritime expansion. Generations of immigrants from Greece, Italy and the Levant settled here and made the city synonymous with commerce, cosmopolitanism and bohemian culture. However, we were disembarking to walk to the buses waiting to take us from the pier for a journey through desert scenery and reclaimed, cultivated land, reaching the outskirts of Africa's largest city, the legendary Al Qahira, internationally known as the teeming metropolis of Cairo...about 3 hours away. This was the start of our whirlwind 2 day tour of this area of Egypt. 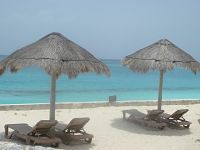 I should mention that although there are many private tours you can book, we always choose to use the ship's tours because if there are any problems such as a flat tire on your bus, or a car accident that ties up traffic making you late getting back to the ship, the ship will wait for you if it's one of their tours. They don't hold up the ship's timetable if you have booked elsewhere. This did happen as I will explain later at the end of this narrative. We relaxed and listened to our guide telling us the history of this timeless land while we continued on our journey. 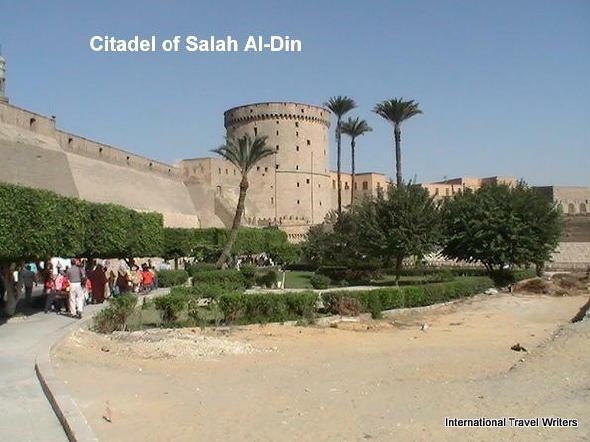 We drove through the "City of the Dead" enroute to the Citadel of Salah-Al-Din(sometimes called Saladin), an architectural marvel for its day. The surreal surroundings capture the imagination. 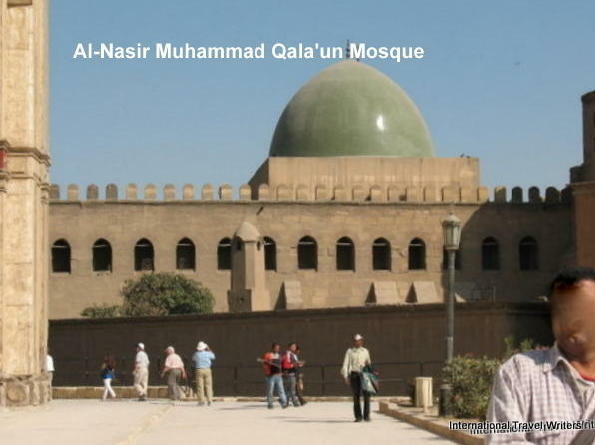 Contained within the Citadel area is the Alabaster Mosque of Muhammed Ali and the green-domed Al-Nasir Muhammad Qala'un Mosque. 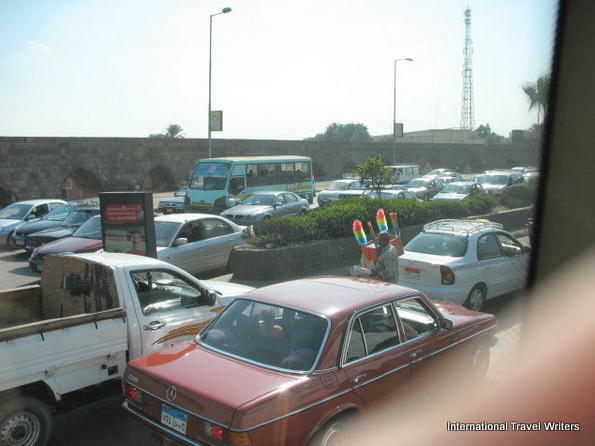 The traffic as we approached Cairo was heavy and a stench of auto emissions managed to seep into the bus although it was kept to a minimum with the coach's air conditioning going full bore. The photo below shows how heavy the traffic was as we slowly made progress through the city. The drivers of Egypt are fairly aggressive. 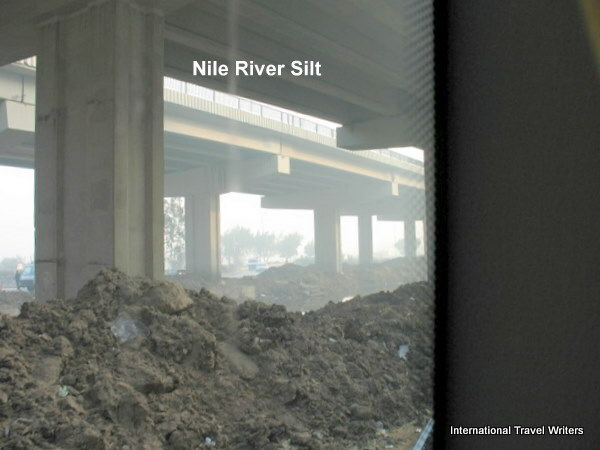 Along the Nile River, which winds it way through Cairo, there are huge piles of sludge along its banks. This makes it look gross with all the garbage that gets blown to it that sticks to the damp soil. 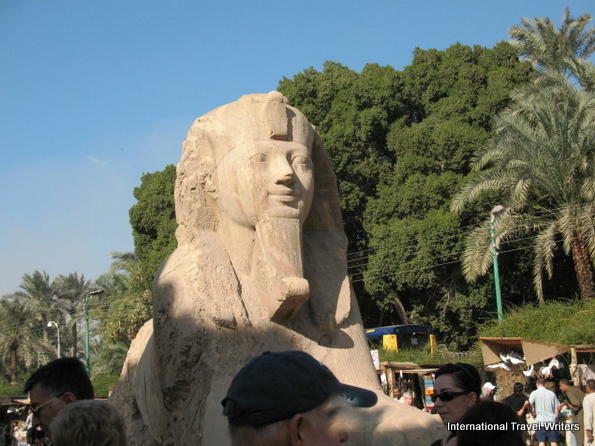 Our guide told us that through the ages the silt was dredged out of the Nile because it was fertile soil that gathered nutrients as it passed through 8 or 9 countries on it's way to Egypt. So, for centuries they transported some of this soil to farming areas. The other major use is building housing units by making bricks of it and drying them in the sun. 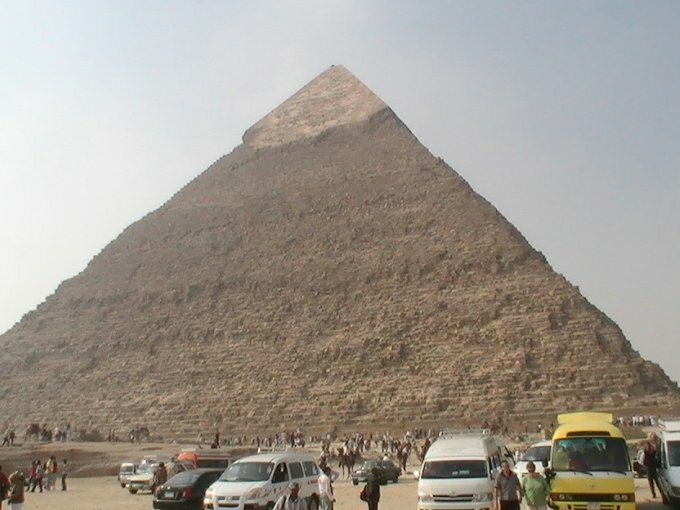 This was the material used to build the pyramids millenniums ago and it is still used today for both residential and commercial buildings. The river is dredged and the silt sits along it's banks until it is used for one of these purposes...not an attractive sight. 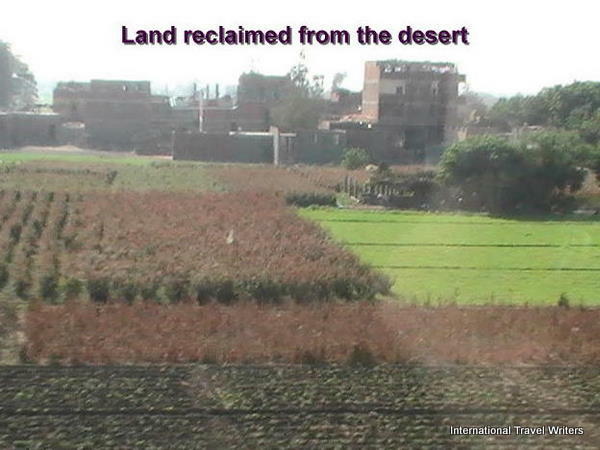 The freeways tend to follow the Nile so the silt is generally piled up under them. In all fairness, dammed at Aswan, the Nile River still makes desert life possible, providing water and power for millions of Egyptians. Cairenes live crowded in tiny apartments and the river's breezes offer repite from the heat. The locals use the low-riding lateen-sailed feluccas as Nile taxis. A felucca trip, even in the 21st century, transports you instantly into memories of Egypt's ancient and melancholy greatness. On the Garden City corniche opposite the Four Seasons Cairo at Nile Plaza, is the oldest operating fleet. It's boats ply the one mile, high-rise-lined stretch between the Qasr el Nil (the equivalent of Times Square) and El Gamas bridges, seven miles upriver from downtown. Before departing, agree on the fee (usually about $10 an hour) and settle the approximate time you want to be on the water. 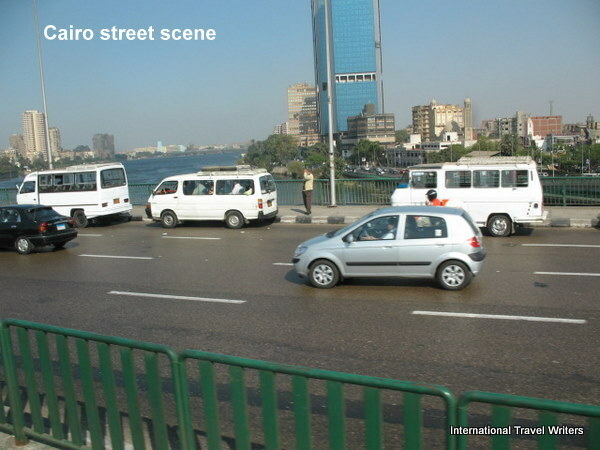 Tahir (means Liberation) Square is just off the Nile river at the eastern end of Qasr El Nil bridge. 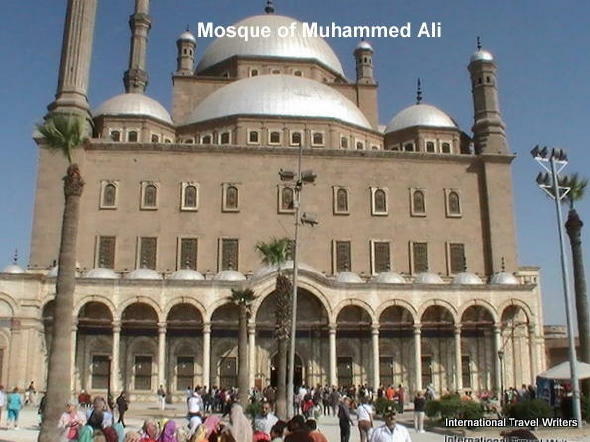 It is in the heart of modern Cairo and was the centerpiece of the nineteenth-century ruler Khedive Ismail's dream to create a "Paris on the Nile" with broad boulevards punctuated with squares, grand apartment buildings, public gardens and royal palaces. Many of the architectural layers still survive under the commercialism. Remember that taxis are easy to flag at any hour. 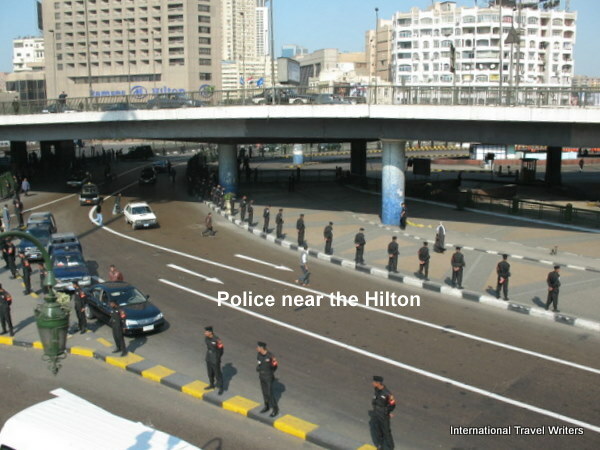 Something that struck me as strange as we drove through Cairo was the huge number of police lining the streets. When we asked our guide if there was a dignitary expected, she said no. She informed us that the government (at this time Mubarak's group) tried to keep unemployment down with the young people so they hired large numbers just to line the street and be available if anything happened. It was my thought that they might have been put to better use cleaning up the garbage and refuse that was visible throughout the city instead of just standing doing nothing. Cairo is a cosmopolitan but conservative Islamic capitol and you can see the 1961 Cairo Tower that is 160 feet taller than the Great Pyramid. It offers the city's best 360-degree Nile panorama. 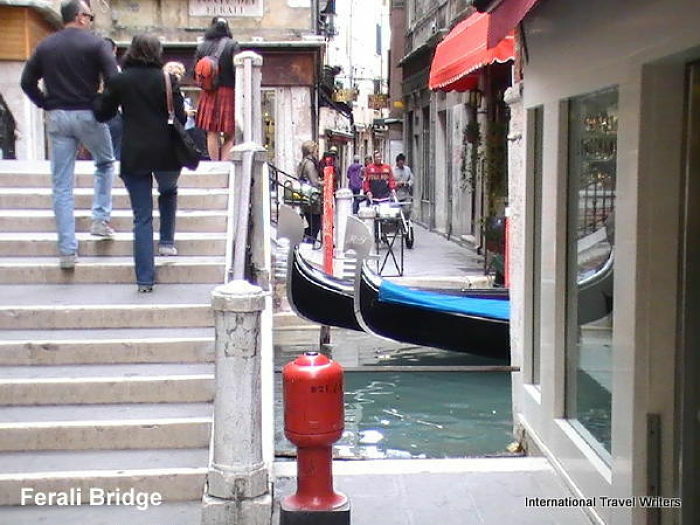 There is just one small and slow elevator, so go mid-morning to avoid the package tourists. We slowly moved through the traffic and while looking outside the windows, we noticed there were a lot of buildings that were anywhere from 3 stories to 15 stories and they had unfinished top floors. You could see that people occupied the lower floors because there was frequently some laundry hanging out the window to dry. We were told that it was a tax issue. You only paid property taxes on finished buildings and the way around that was to leave the top floor unfinished. I saw the logic but it looked strange to see hundreds if not thousands of these eerily unfinished buildings. It reminded me of photos of cities bombed from the air during World War II.